All adult women below gentry level wore some sort of hair covering. 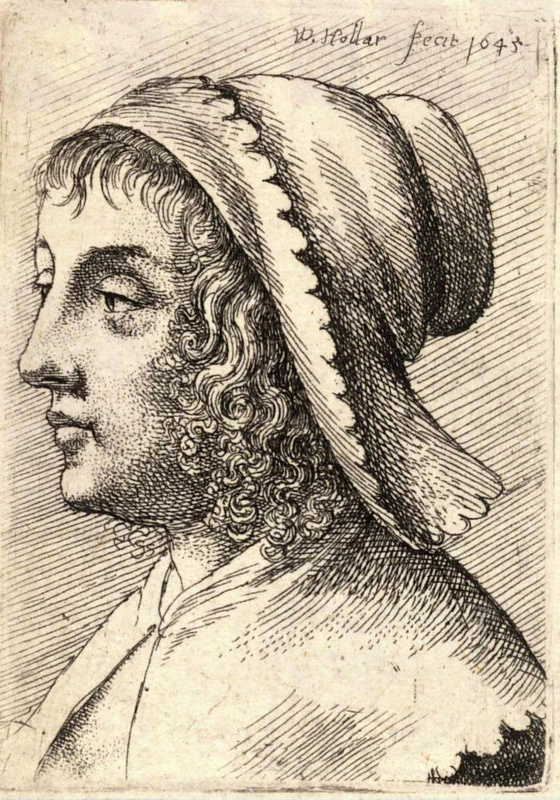 There are very few illustrations of mid-17th century British coifs available; even fewer extant examples, all of which are middling to high status. As the shape and fixing of coifs appears to depend on the way the hair underneath was dressed, I have included illustrations of hair. Online Guide to Coifs, including Patterns, and braiding hair 17th Century style: www.marquisofwinchesters.co.uk/Ecwr-Guidelines/coifs.html . Written by the author of this website and draws on information gathered on this page. Patterns of Fashion 4: The cut and construction of linen shirts, smocks, neckwear, headwear and accessories for men and women c. 1540 – 1660 Janet Arnold. Macmillan; 2008. ISBN-10: 0333570820. For various coif patterns. The Tudor Tailor: Reconstructing Sixteenth-Century Dress, Jane Malcolm-Davies and Ninya Mikhaila, Batsford Ltd (2006). ISBN-10: 0713489855. For instructions on how to braid and coil hair (shoulder length and longer), and apply a head wrap. The Dressing Terpsichore blog on hairdressing and coifs here, here and here. 16th century but useful. 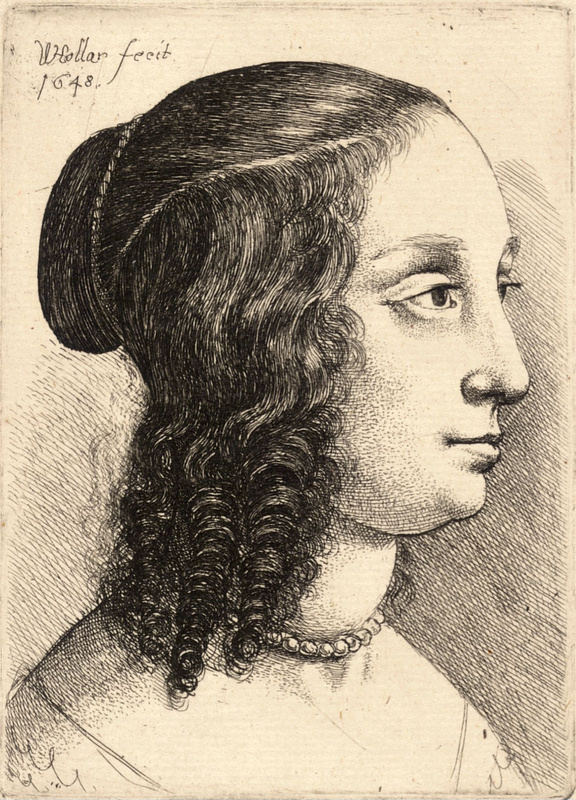 Wikimedia Commons for Wenceslaus Hollar engravings. The 1640s Picturebook for woodcuts. 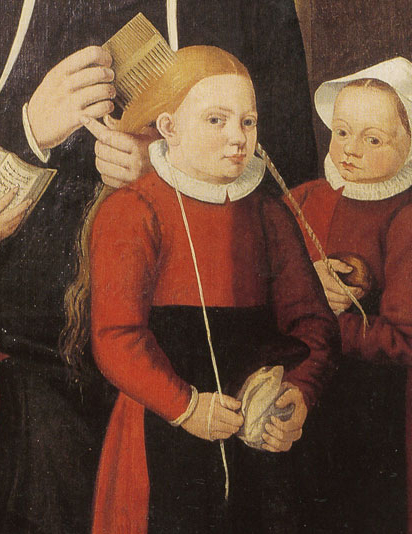 Detail from Hilleke-de-roy and Four of Her Orphans, Unknown artist, 1586. Child in the process of having her hair dressed, holds the end of the ribbon/tape which has already been included in one braid, in preparation for braiding the second. 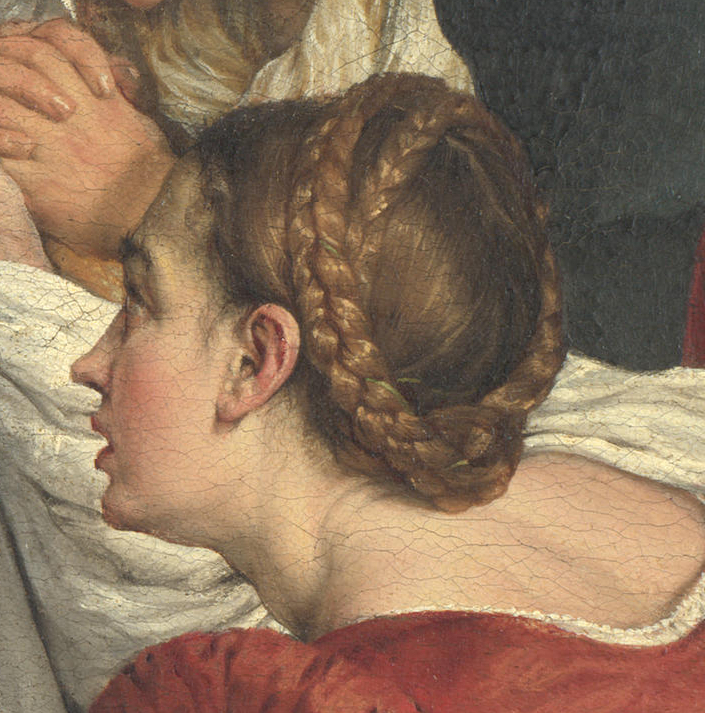 Detail from The Way to Calvary, Jacopo Bassano. Previous century and Italian but a good illustration of a ribbon/lace (green you can just about see it) braided through hair. Detail from Market Scene, Joachim Beuckelaer, 1563. Previous century and Flemish, but shows ribbon/tape tied at top of head. Besides the braiding instructions in The Tudor Tailor, there is a very useful set of instructions and illustrations here. Modern not 17th century, just braid a ribbon/tape into hair and wrap around head. 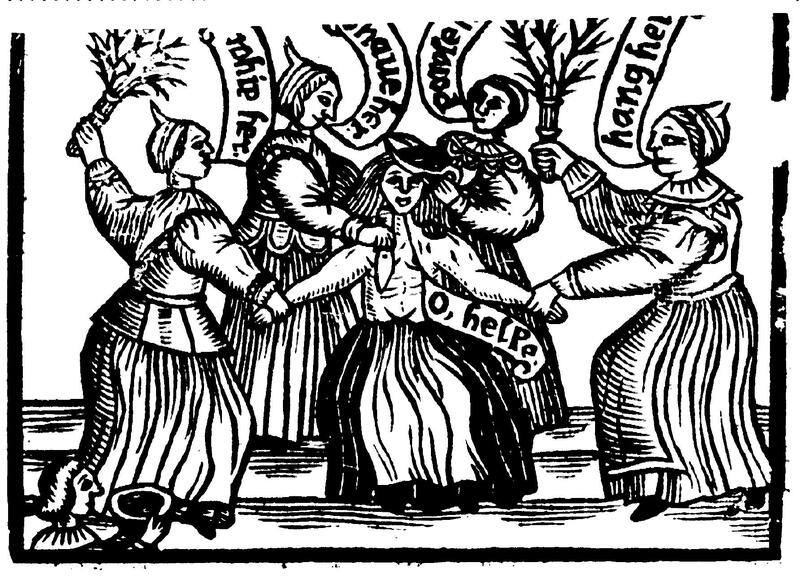 From ‘The Cries of London’ early-17th century headwrap. 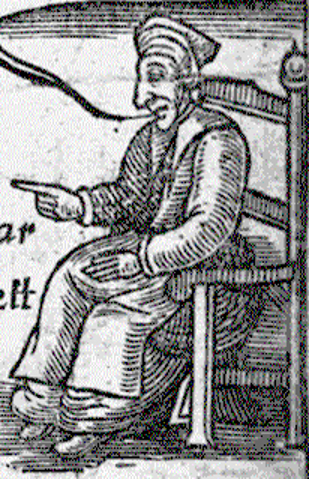 Detail from ‘Matthew Hopkins, Witch Finder Generall The Discovery of Witches’ published 1647 (for full story see https://the1642goodwyfe.wordpress.com/2012/03/25/matthew-hopkins-witch-finder-generall/ ). 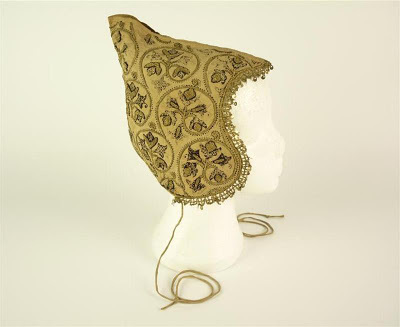 See The Tudor Tailor for instructions on putting on a headwrap (headrail) similar to those above, made from a 36″ (90cm) square of linen fabric folded in half diagonally. Details from the 1609 monument to Elizabeth Hoby, Bisham Abbey. 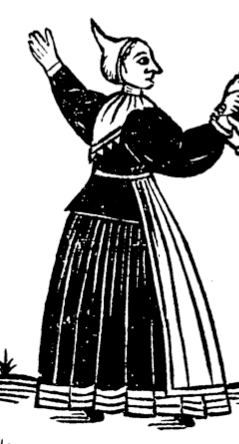 Tapes tying coif over hair, as illustrated in Patterns of Fashion 4. Detail from ‘A Pretious Treasury or a New Dispensatory Contayning 70 approved Physical rare Receits’ published 1649, though stylistically earlier (for full print and story see https://the1642goodwyfe.wordpress.com/2012/11/16/a-pretious-treasury/ ). ‘Elizabethan’ in style, see extant example below. 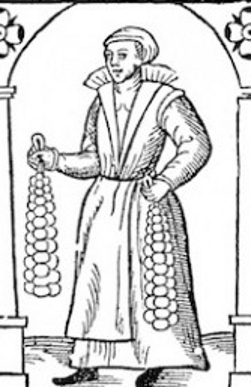 Detail from a 1625 English ballad titled “A Statute for Swearers and Drunkards”. Coif and forehead cloth. 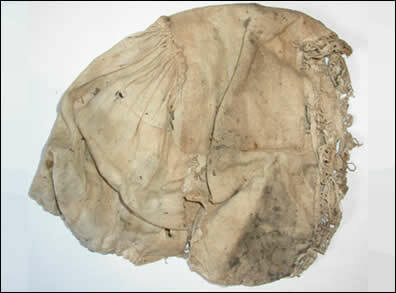 A whitework coif and matching forehead cloth. 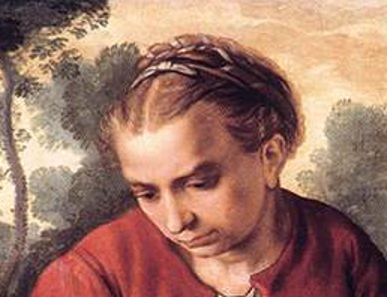 1600-1625. 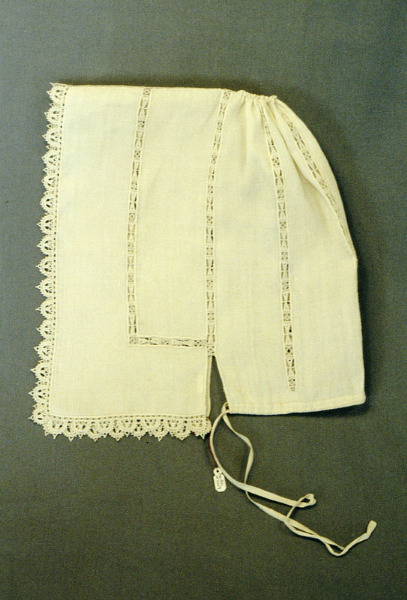 Linen worked with white linen thread in chain and ladder stitch, French knots, cutwork. Coif edged with bobbin lace. 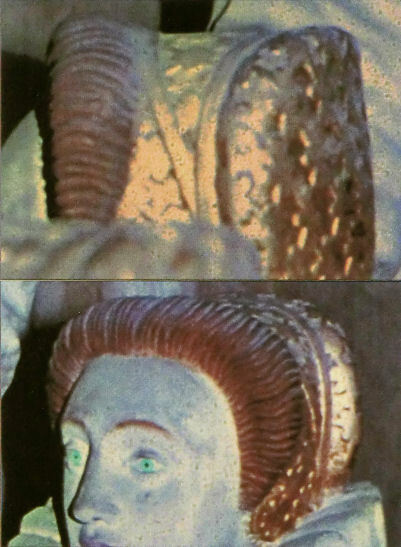 Coif would be worn over forehead cloth, then the strings at back would gather up bottom of coif, then cross over top to fix coif to braided and coiled hair. V&A, Museum numbers: T.57-1947 & T.57A-1947. 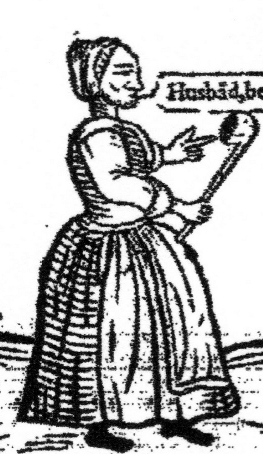 From a pamphlet published in 1638 by John Taylor (for full story see https://the1642goodwyfe.wordpress.com/2012/09/26/stripping-whipping-and-pumping/ ). Apart from the woman being stripped all the women wear pointed coifs, whether these are in fact coifs or head wraps is difficult to tell. Detail from ‘A Cornucopia or Room for a Ram Head’ published in 1642 (for full story see https://the1642goodwyfe.wordpress.com/2012/01/31/a-cornucopia/ ). Pointed coif/head wrap. 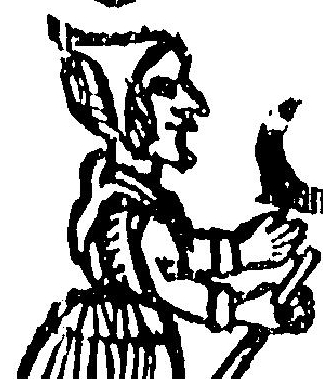 The Witch of the Woodlands or The Cobbler’s New Translation published in 1655 (for full story see https://the1642goodwyfe.wordpress.com/2012/11/09/the-witch-of-the-woodlands/ ). 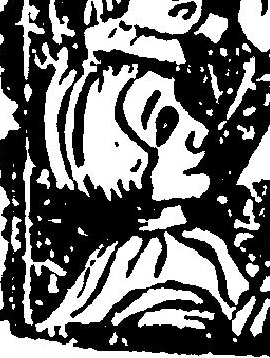 Appears to be a triangular cross-cloth worn over a coif. Sold at H&H Auction Rooms in Carlisle, December 2011. Late-16th or early-17th century coif. Linen with blackwork embroidery and metallic threads, decorated in a repeating foliate scroll design, trimmed with a gilt bobbin lace border and hand-clipped metal spangles. The top back is not gathered as is usually seen with this type of coif and might give a clue to the structure of the ‘pointy’ style. The long strings, if original, suggest this coif was tied on over braided and coiled hair. Linen coif with needlepoint lace insertions and edges. 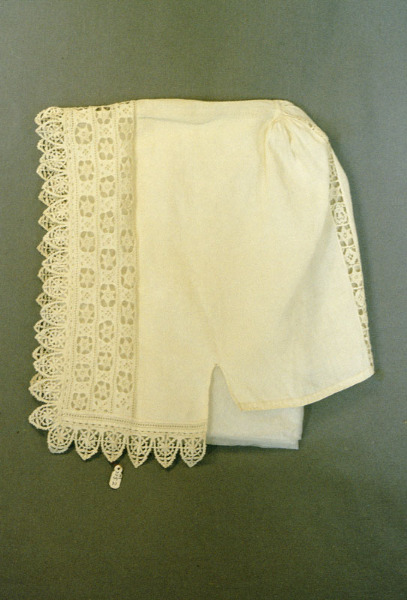 Composed of one length with narrow openwork hem at edges, folded in half and seamed from front edge half way to back at top with 0.5cm wide insertion of needlepoint lace, back is half-open; seven insertions of needlepoint lace parallel with front edge, evenly spaced round coif; centre section of bottom edge extending to second insertion from front which ends short to divide back from front, front and second insertion opening, front and bottom edge to this point edged with border of 1.25cm needlepoint lace, edges of insertion with narrow openwork hem; drawstring hem at back, two small pieces of linen for strengthening, at front edge of side opening; fine contemporary darns at side opening (possibly from pins, may indicate fastening) Height: 26 cm. Width: 22 cm. Date: 1640-1650. Coif found below the floorboards during the demolition of the Plough Inn at Sittingbourne along with the Sittingbourne Stays. Dated to the 1630/40s. Very similar to the above. Wenceslas Hollar, 1640. 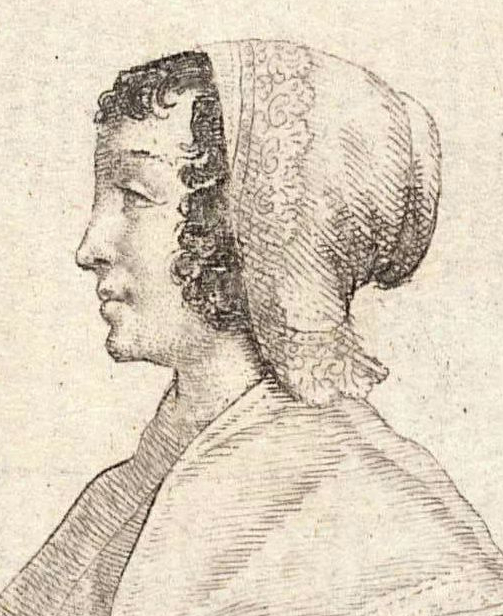 Detail from The Kitchen Maid, coif over dressed hair. 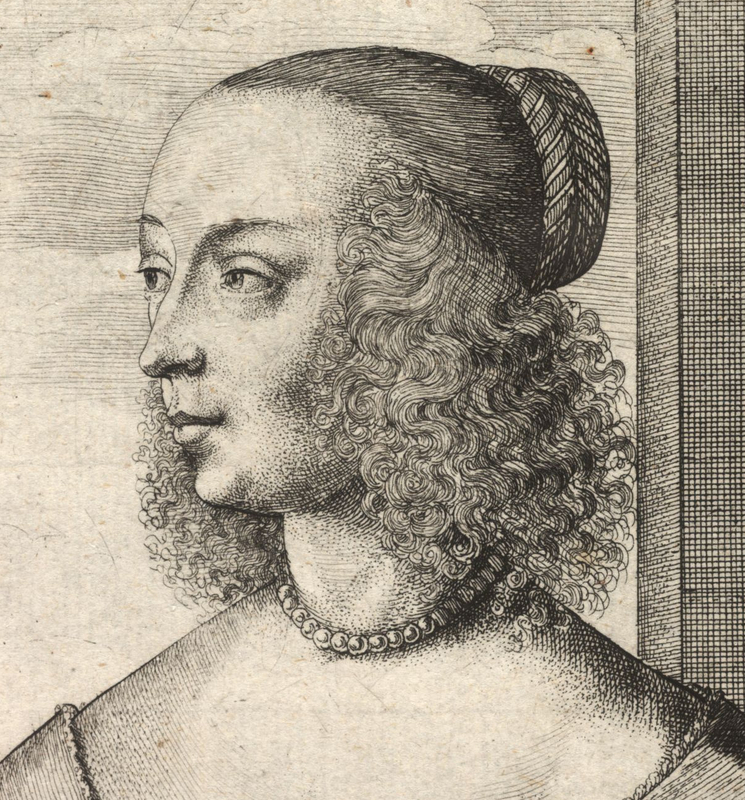 From the way the coif folds at the back it appears it is held in place by tying over and around the braided hair. Detail from ‘Summer’ by Wenceslas Hollar. 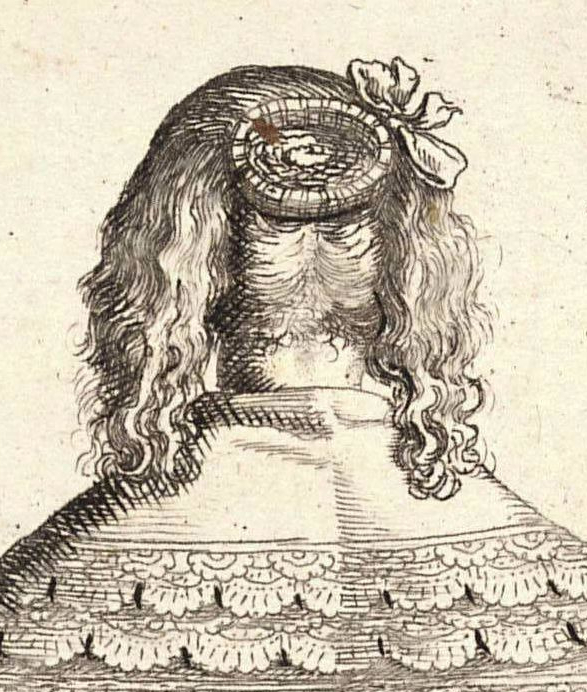 Detail from ‘Lady with Fair Hair from the Back’ by Wenceslas Hollar. Rare rear view. 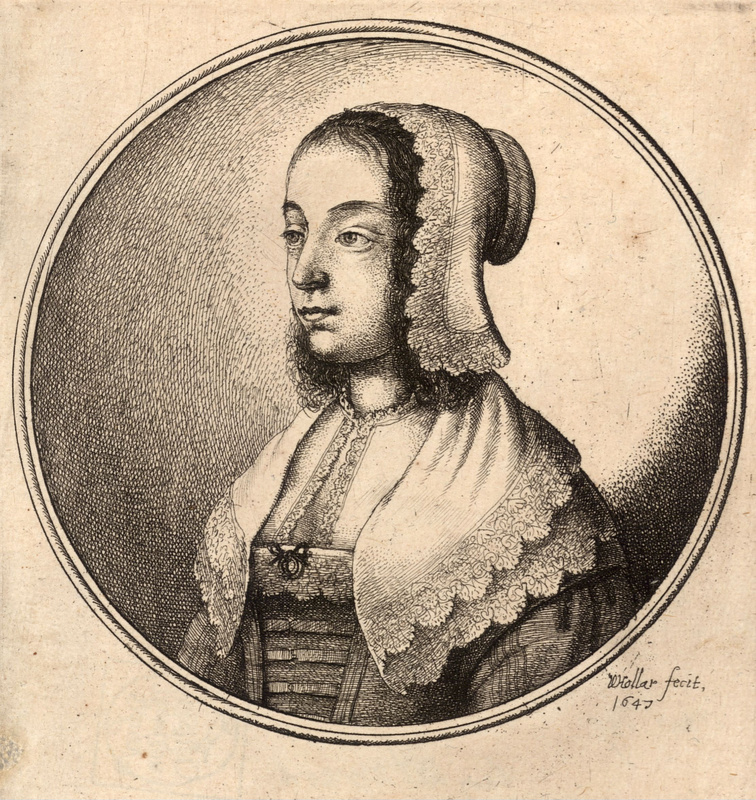 Catherine Howard by Wenceslas Hollar. 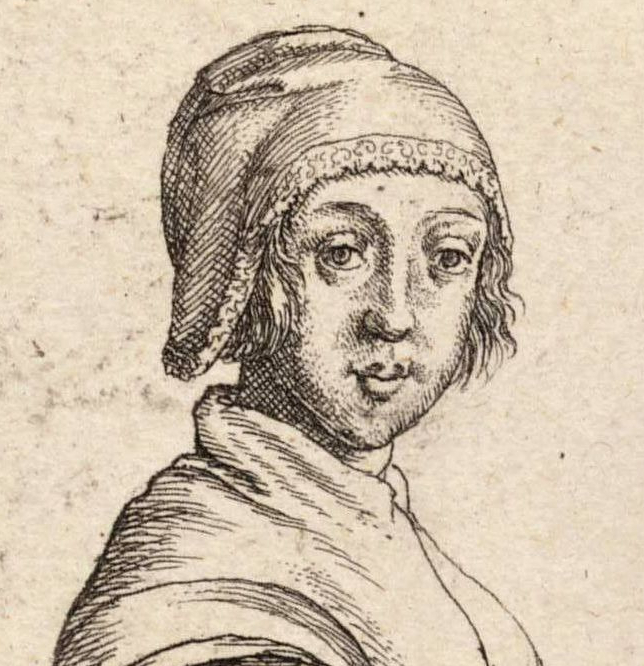 Detail of ‘Lady with Scissors’ engraved by Wenceslas Hollar, 1640. Side view of this style of coif showing gathering under braided hair. Worn over fashionably dressed hair. Wenceslas Hollar, 1645. Scolloped edge coif over dressed hair. Wenceslas Hollar, 1647. Coif with lace worn over dressed hair. 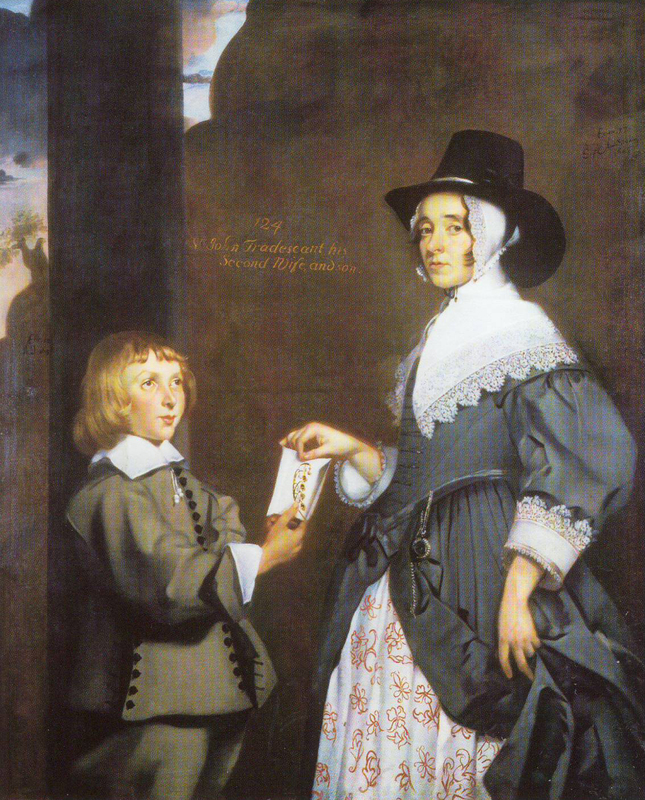 Ester Tradescant and step-son 1645 (Ashmoean). Close fitting coif worn under a beaver hat. 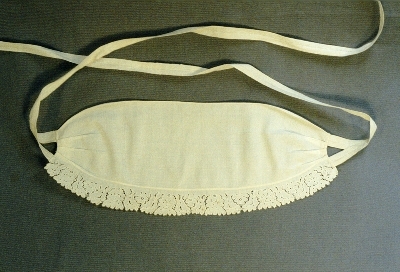 Linen forehead cloth, oval with border 2.5cm of matching embroidery on one side; ends pleated and attached to tape, joined to form Y shape. Associated with a Linen coif (demi-coif). Straight with double curve each end with a narrow hem containing a drawstring. Front and back edges curved. Back has a thread loop at each end, front with a border of cut-work embroidery. Photograph not available, see plate 60 in Patterns of Fashion 4, linen 1540-1660, Janet Arnold.